In the hustle and bustle of modern-day living, it’s getting easier and easier to opt for convenience over quality or sustainability. In a world of fast fashion and mass production, we’ve lost a little bit of originality and creativity when it comes to our purchases. It’s not that we don’t care, it’s just that sometimes it’s easier to order something online and have it arrive at your door in three days than spend hours sifting through op shop racks. Well thanks to the newly opened Heartfill Store, ethical shopping just became a whole lot easier. 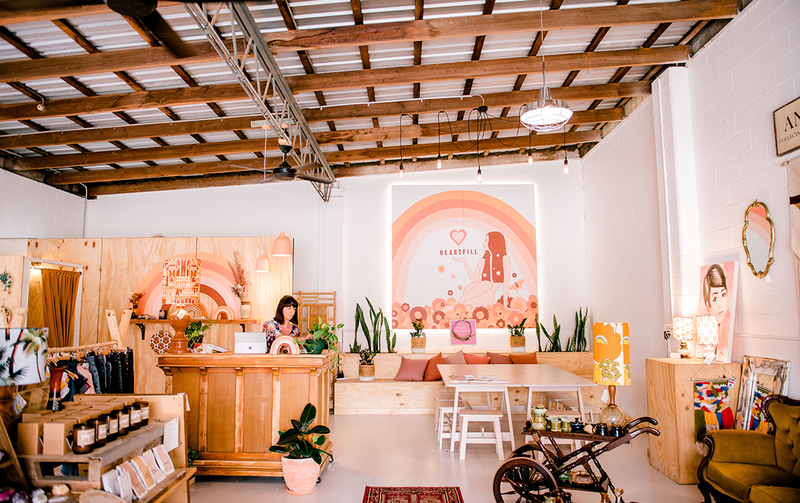 Located in the uber cool creative hub of Miami, Heartfill is in good company, located just around the corner from Paddock Bakery and on the same street as Hotel Miami and Granddad Jacks. Heartfill is the passion project of local teacher-turned-sustainable living queen Corinne Russel, who believes in filling your heart, not filling the land. And this is the ethos she’s embodied through Heartfill, a one-stop-shop for flowers, clothing, art, craft, homewares, and vintage pieces. 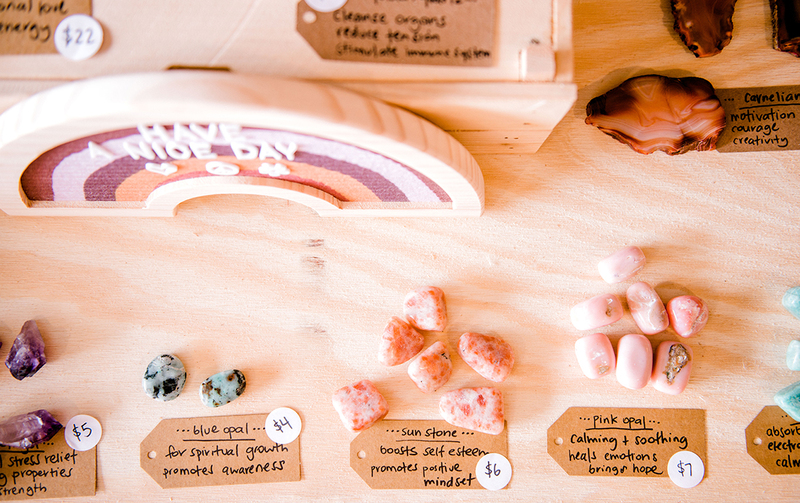 Corinne’s vision was to revitalise the concept of old school ‘brick and mortar’ stores by creating a unique, personalised and mindful approach to retail. Most of the products sold at Heartfill are hand-made, made to order, or completely one off, so there’s no generic and mass-produced products in sight. Everything in store is sourced from local creatives, so by making a purchase you are not only treating yourself to something fabulous, but also supporting local talent. Heartfill is essentially a creatives market completely localised under one roof, so it’s perfect for those who want to support local businesses but don’t have time to trawl around marketplaces every weekend. 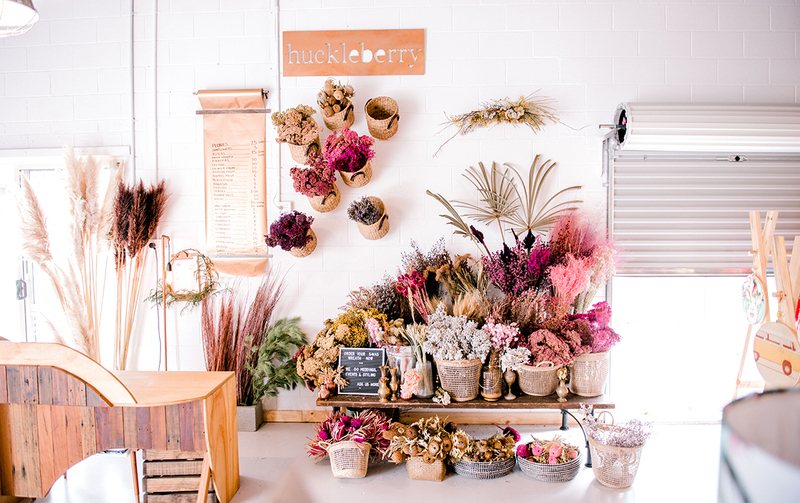 There are already a number of local creatives calling Heartfill home, including Sunlounge Homewares, Huckleberry Flowers and Comfort and Calm ceramics. Heartfill also doubles as a creative workshop space where the community is able to acquaint themselves with the skills of making and creating, while also coming together in a unique and welcoming environment. There’s also a ‘meet the maker’ space where the community can observe artists at work and learn about the skills of craftmanship, as well as corporate wellbeing programs. Even more charming than the ethical and sustainable ethos, is its vintage and quirky fit out. Stepping into Heartfill is like stepping into a time machine, and everything just feels a little more special. Crisp white brickwork paired with light timber walls, hanging light bulbs, rows of unique products and racks of vintage clothing paired with a very 70s colour scheme creates a feeling of nostalgia and comfort that you just don’t get from other chain stores. So next time you find yourself mindlessly scrolling through an online shopping sale, go and pop into Heartfill instead. You might just find the one-off piece of your dreams, and you’ll be doing your part to support ethical fashion. After all, sustainability is the new black.